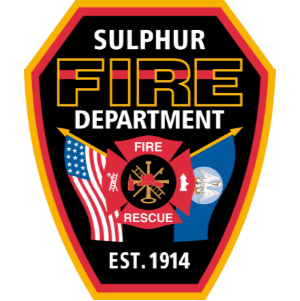 Sulphur Fire Department is a fully paid, class 2, progressive department that responds to approximately 800 emergency calls annually. The Fire Department provides proactive prevention services such as fire safety inspections of commercial properties, site plan reviews, and fire safety education. The Fire Department community projects include: fire safety education, fire station tours, and the nationally recognized BLAST program. The City of Sulphur maintains a fleet of 4 class A pumpers, 2 Ladder trucks, several support vehicles, and over 65 paid and fully certified firefighters. Our Class 2 rated department responds with 2 engines, a ladder truck, and 1 command vehicle to all structure alarms and has a response time of less than 5 minutes 90% of all calls. Maintaining this performance requires regular training, skilled responders, and a fully functional fleet.